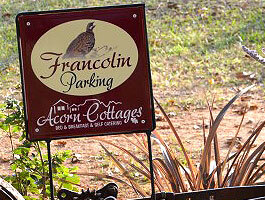 Situated on a peaceful small-holding, we offer cottages and suites for either Bed and Breakfast or self-catering holidays and weekends. We welcome families so bring your children - there is plenty of space for them to run around and play safely while you enjoy the clean, fresh mountain air and relax. 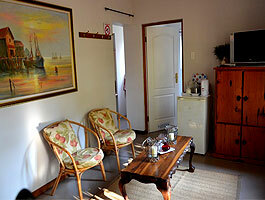 Breakfast is serviced to guests in the cottages at R110 on request. 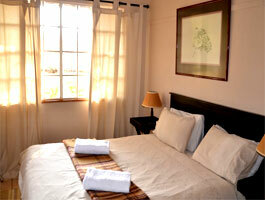 Accommodation - R450 per person per night. Children 5-16 - Halfprice and Children under 5 - Free. This is an upstairs unit suitable for couples, or two single people, The main attraction is the size and the magnificent views from every window, but particularly from the veranda. There is a fireplace which warms the entire room quickly and a heater in the bathroom, plus two ceiling fans for the summer months. DSTV with limited programmes is provided. 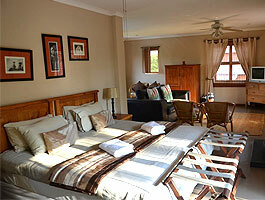 Suitable for two people but an extra bed can be added. 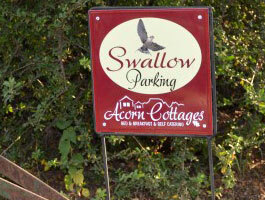 Either self cater or Bed and Breakfast is offered. Other: Fan, Bar Fridge, Self-catering facilities, TV, DSTV hospitality bouquet. A very attractive suite with one open plan room, with a queen size bed, TV with some DStv channels available, a gas heater, full bathroom. 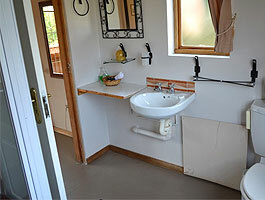 It opens out onto its own garden with braai area, and has a small kitchenette, with a two-plate stove and microwave, bar fridge, toaster and kettle. 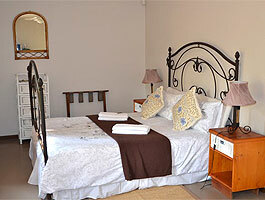 Suitable for couples only, and either self cater or Bed and breakfast is offered. 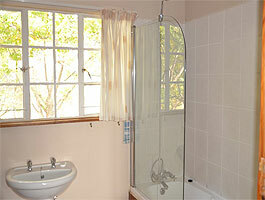 These 2 bedroomed cottages are next to each other, and suitable for families. 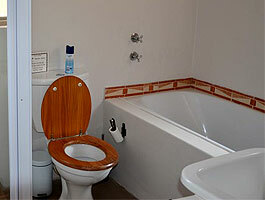 Each cottage has 2 bedrooms, both rooms en-suite, with a queen-size bed and 2 singles, which can be converted into a king size if required. 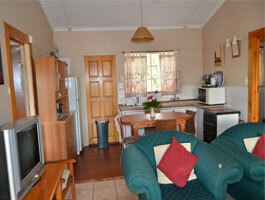 The kitchen is fully equipped with a full size fridge/freezer, 4 plate gas stove, microwave, etc. There is a braai area outside. 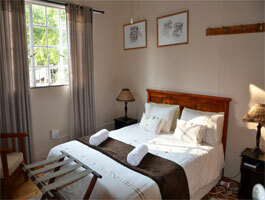 The cottages are equipped with fans in summer, a fireplace and heaters in the bedrooms and bathrooms for winter. There is a bonnox fence around both cottages, so your children are secure. 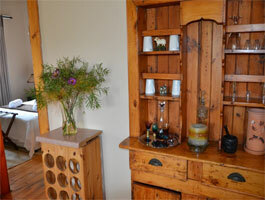 Each cottage sleeps 4 comfortably with a sleeper couch in the one cottage for a 5th person. 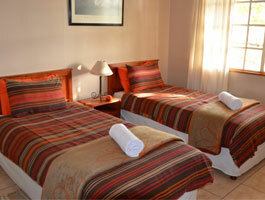 They can also be used as 2 single rooms each. If your family is too big for these cottages consider using a bed and breakfast room for 2 adults who can then join you in the cottage. 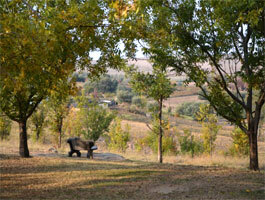 There is a daily service, for about 1 hour, dinner dishes are not included. If a full service is required please let us know so we can arrange extra staff. 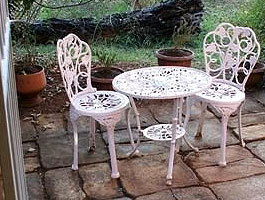 A really romantic cottage, used for honeymoons and romantic holidays. It stands on its own with roses all around and is private. There are oregan prune sash windows and door, and it is well and comfortably equipped. 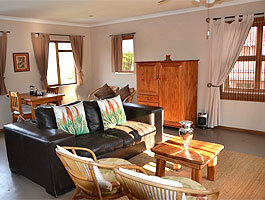 Stunning views of the Drakensberg Mountains from the veranda and braai area off the veranda, it has one bedroom and separate bathroom with corner bath, separate shower and toilet. 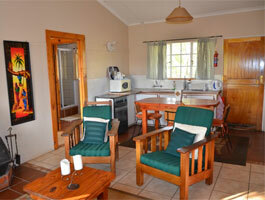 Full catering facilities are provided with a four-plate gas stove and oven, microwave and fridge. There is a large fireplace in the lounge and DSTV limited programmes. Suitable for couples with perhaps a child on a sleeper couch in the lounge. 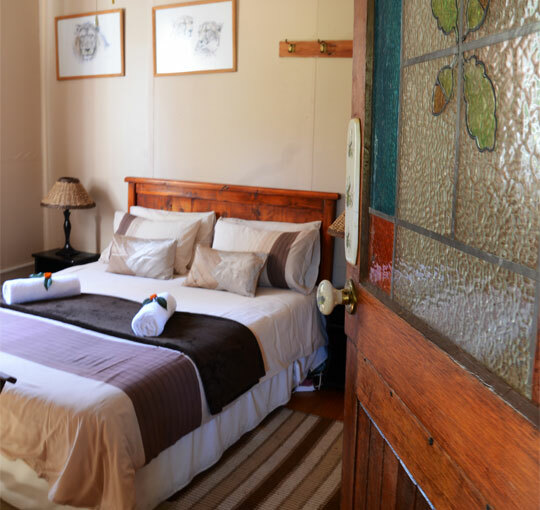 All our accommodation is different and we try to accommodate all our guests, be it in family-friendly two bedroom cottages, a quaint Rose Cottage which is our honeymoon suite, or luxury suites and rooms for couples only. With fireplaces for cold winter nights and fans in the summer, they are fully equipped for self-catering however breakfast is always an option. 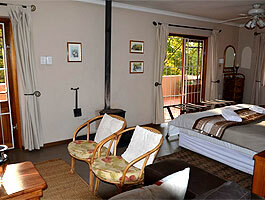 All rooms have TV, en-suite bathrooms and braai facilities. There is a stunning rock pool, where views are wide and stupendous and you look straight up onto Mount Champagne and Cathkin. 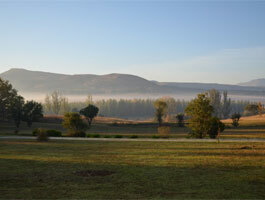 During the day in our immediate area enjoy horse riding, fishing, walks, hikes 19km away, falconry, white water rafting, bushman paintings within a distance of 25km, bird watching, local crafts, golf, bowls, Drakensberg Boys Choir School Concerts and Bass fishing about 5km away. 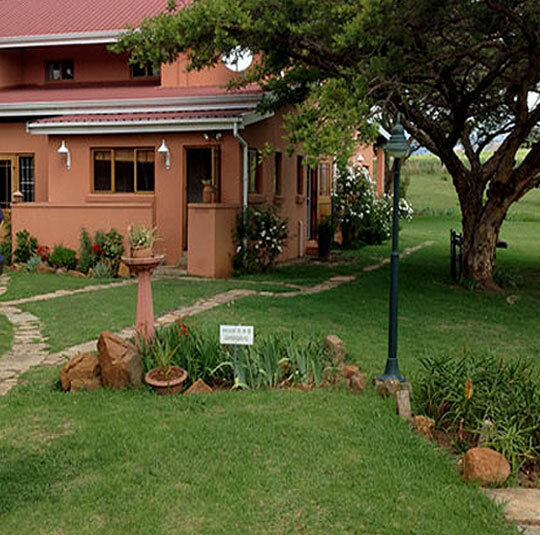 Do a half or full day trip to the Amphitheatre, Northern Drakensberg Area, Cathedral Peak, Injustice, Giants Castle – famous for bushman paintings, the battlefields route, visit Spioenkop Game Reserve and Winterton Village and Museum. When you are pleasantly tired in the evening choose from three restaurants or four hotels for evening meals, or braai at your cottage while you plan your next day. We are happy to assist you with this, be it a local outing or offering you advice if you are travelling on.